Shane Burger, the 36-year-old former South African domestic allrounder, has been named Scotland head coach. Burger has been coaching KwaZulu-Natal Inland since 2015 and has won CSA's coach of the year award twice in the last three years. Toby Bailey had been serving as Scotland interim coach since Grant Bradburn's departure in September. Bailey will continue through next month's tour of Oman which includes a T20I quadrangular series against Oman, Ireland and Netherlands before three 50-over matches against Oman. Burger will officially take over in March. "I am both delighted and honoured to be awarded this position as head coach of Scotland," Burger said in a Cricket Scotland press release. "The opportunity to work with players who have already shown that they can compete with the best in the business is an exciting challenge. Grant did a fantastic job and it will be my goal to move Scottish cricket to new heights on and off the field." Burger had a 91-match first-class career in South Africa and gained wider attention towards the end of his career as a member of the Highveld Lions in the Champions League T20 competition in 2010. 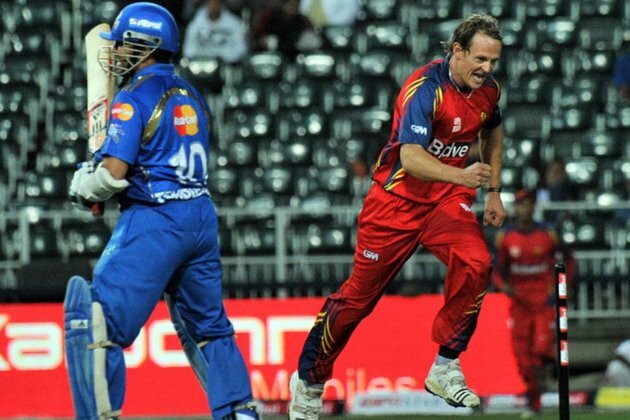 Burger claimed the wicket of Sachin Tendulkar in a Lions victory over Mumbai Indians during the tournament in Johannesburg. He played his maiden first-class match with Gauteng in 2002 and finished up his career with KwaZulu-Natal Inland in March 2015 before taking over their coaching job ahead of the following first-class season. He is no stranger to the UK, having played as an overseas professional for Radlett Cricket Club in Hertfordshire for 12 straight summers from 2004 through 2015.